It's great to be back home from Las Vegas and the first thing I did (after sleeping for approximately 18 hours) was make a good home-cooked meal. Today we went to this butcher in Costa Mesa, CA called The Meat House to pick up some steaks and the selection there was phenomenal. We got a Kobe beef ribeye steak and grass fed tenderloin of beef steaks. Both were excellent but the Kobe beef was my favorite. 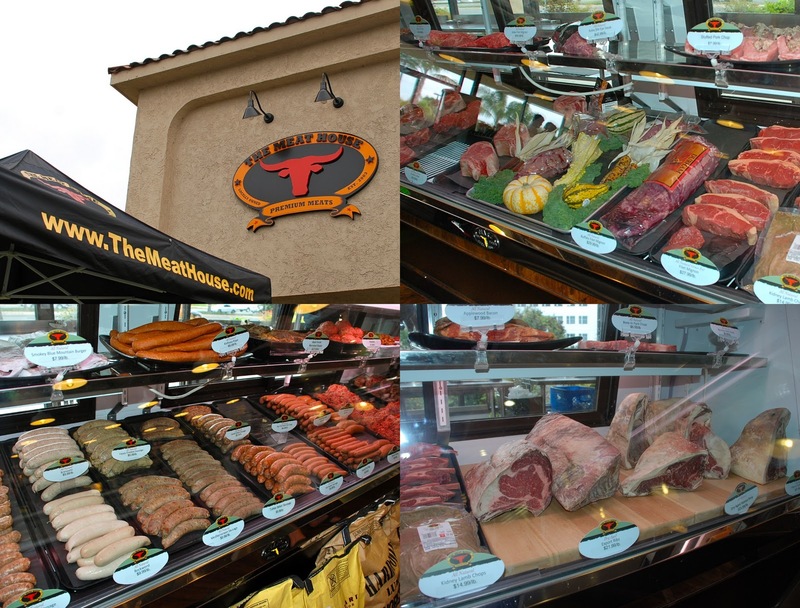 The Meat House currently has locations in California, Connecticut, Maine, Massachusetts, New Hampshire, New York, North Carolina, and Texas. The steaks were super easy to prepare on the grill. They were incredibly tender, flavorful and the Kobe ribeye with its generous marbling just melted in my mouth. Let the steaks come to room temperature by letting them sit out on the counter for about an hour to take the chill off. This will keep them from seizing up when you put them on the hot grill. Salt and pepper them on both sides, then place them on the grill at high heat - about 550 degrees F.
I cooked the ribeye for 3 minutes per side for medium and the tenderloins for 6 minutes per side for medium (because they were much thicker). Remove from grill and allow to rest for a few minutes before serving. The 3-Cheese Mac 'N Cheese was rich, creamy and a nice accompaniment to the buttery steaks. To make the cheese sauce: In small saucepan over medium heat, melt the butter. Then add flour, salt, pepper, and ground mustard and stir to combine, making a roux or paste. Next add milk and stir or whisk constantly until mixture is thick, bubbly and smooth. This is your béchamel or white sauce - the base for your cheese sauce. Remove from heat and immediately add the 3 cheeses. Stir until cheese is melted in and completely combined. Place cooked macaroni and crumbled bacon in 9 x 11 baking dish (or similar size). Pour cheese sauce over and mix. Cover with additional shredded cheese and sprinkle with paprika. Bake in oven for 35 minutes until lightly browned and bubbly. When I was in Las Vegas, we ate at a wonderful restaurant called Lavo in The Palazzo. The food was outstanding and the service was impeccable. Although I'm not a big wine drinker, I decided to sample what our host had ordered for the table. Turns out I really liked it and so I splurged on a bottle today to go with our dinner. 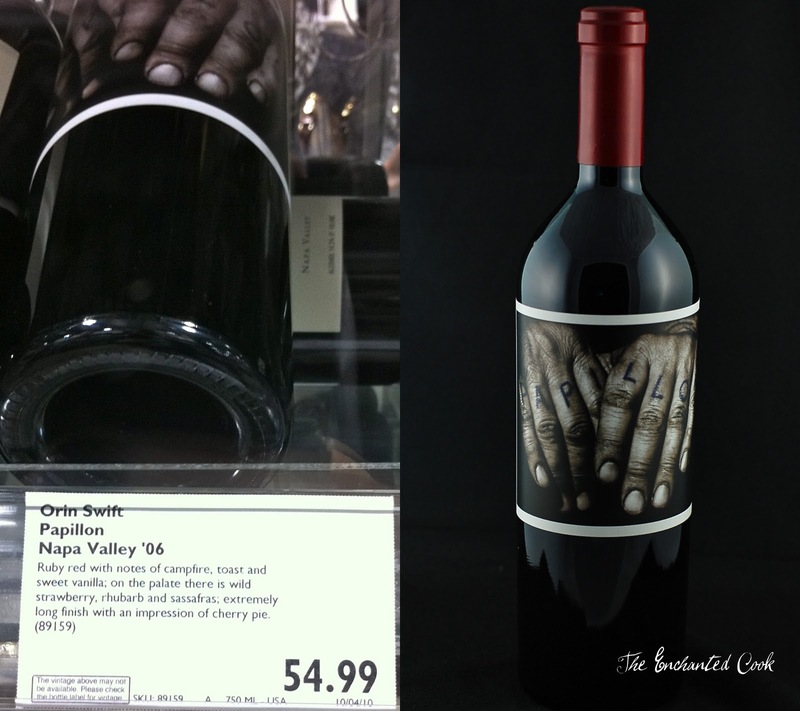 It's from Orin Swift Cellars and it's called Papillon. I took a photo of the sign at BevMo where I bought it and it's a better description than I could articulate so here it is. Last but not least - I had one celebrity sighting while in Las Vegas - Chazz Palminteri. He was arriving at Lavo as we were leaving so my friend snapped this photo. my wife would love that steak!! I am not a beef eater but I would certainly dive into that mac and cheese!! I love leicester! Wow this looks amazing and I'm a vegetarian! My boyfriend would go crazy over this meal! If I ever eat meat again, I want to go the grass fed and free range route. Not only does it make a difference in the flavor, it just feels better all around :). We make a homemade mac and cheese too ... in my opinion ... might as well go all the way with mac and cheese! Welcome back! Wonder if that meat place is here in SA? Michael wants to cook steak from the BLT cookbook we have, but wants to make sure it's special dry-aged. Mac and cheese looks so good!!! Glad your trip to Vegas was good...always good for celeb sightings. We've seen Pete Rose, George Mart (Beatles producer), and Criss Angel on past trips! Kate - it's so rich and yummy! Chef Dennis - I don't eat steak all that often but the Kobe ribeye was killer and the Leicester - yummm! Debbie - Haha! You'll have to make him some good grass fed beef (or the Kobe)! I totally agree on the going all the way with the mac 'n cheese - might as well! Wendy - I think they are only in Austin...not too, too far from you. I can tell you that the Costa Mesa store had an AWESOME selection of dry aged. I couldn't decide which to buy. Next time I'm gonna try the dry aged (but will have to have the Kobe again, too!). Wow, does that Mac&Cheese look delicious! Thanks for sharing! Ick...how can a Beatles fan like me misspell George Martin's name?!?!? Michael might divorce me if I didn't fix that :lol;! Those steaks look excellent! And I never turn down a great mac & cheese. Now I need to make my mac and cheese too! lol! Mmmm that mac and cheese looks DIVINE! (its my favorite food too..) I'll be making that this week for sure! Looks like we are ALL mac 'n cheese fans - yay!! Chef P - the cayenne and roasted garlic sound divine! OMG, Veronica, I am not a big meat lover, but those steaks have me positively drooling - I would eat that - not question. And as for triple cheese mac'n'cheese - what's not to love?!! Hope you enjoyed your trip - it's alwasy so nice to get home though, isn't it. Great cuts of beef and a fabulous mac and cheese. My kind of meal. Two thumbs up. Thanks Sue!! It's so good to be back home and nice to splurge on a really good dinner with wine every now and then!